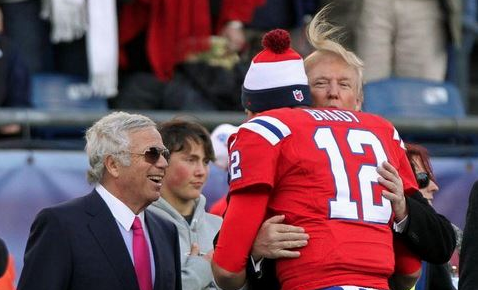 Tom Brady is somehow now starting to feel the heat for comments he made about Donald Trump. Two weeks ago, Brady was asked about Donald Trump winning the 2016 presidential election. “I hope so. That would be great,” the Patriots quarterback said at the time. Now the Super Bowl MVP is back-tracking, claiming he hasn’t even been following politics. On Tuesday, during his weekly radio interview with Boston’s WEEI, Brady said those comments were taken out of context. Well Tom, the issues are that you endorsed a guy for President, that you’ve played golf with, yet you don’t follow politics. Brady said that remark was an “offhand comment” to a reporter that has since taken on a life of its own.